Summerhouses | Combine attractive design and practicality. 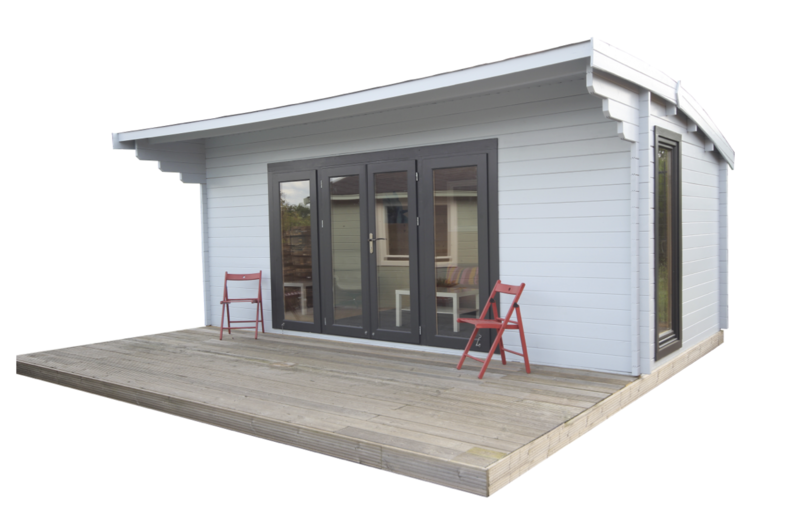 A Creative Living Cabins summerhouse is the ideal feature to add to any garden. Functional yet pleasing on the eye and all our garden summerhouses are built to the highest standards in every way. Totally transform your garden with a stunning bespoke summerhouse from Creative Living. Our summerhouses create a focal point in your garden, where you can relax in comfort and enjoy your surroundings in a wonderfully pleasant way. Constructed from Siberian spruce they have an interlocking plank system which is superior in every aspect to the conventional panel options offered by other manufacturers. We use a double tongue and grooved wind lock system that is a natural barrier to the elements which is available on all our log cabins with a 35mm wall and above. All our summerhouses come with a 12 month guarantee on all materials and workmanship. This customer had a Summer House Cabin installed by Creative Living Cabins.. The team were outstanding. They were professional and clearly very skilled. We are Delighted with the quality of our cabin. The quality of the cabins and the professional team in place to sell and build them have been a pleasure to deal with throughout. We are delighted with the finished product. We are really pleased with the cabin and the overall service given to us by all those involved with our purchase, including the delivery driver on Saturday and Rob at Long Ditton who was so helpful and honest whenever we rang to pick his brains. We would happily recommend your company and cite the excellent attitude and customer service as the main reason as well as the quality of the product. I was absolutely amazed at how hard working and how quickly the Installation team built the cabin, the guys were very polite and hard working. And enjoyed their Tea and Bacon Sandwiches! I am extremely happy with the quality of my cabin and with it built from Siberian Spruce wood at 44mm thick, makes it a good solid job. One of the main reasons I chose Creative Living was being able to go to a site and view what we were looking for and being given friendly advice on how to design my own bespoke cabin.